We embarked Libra cruise from Xiamen and spent a magical weekend departing last Friday for a 3-day/2-night cruise to Penghu, known for her famous blue skies and pristine white beaches. 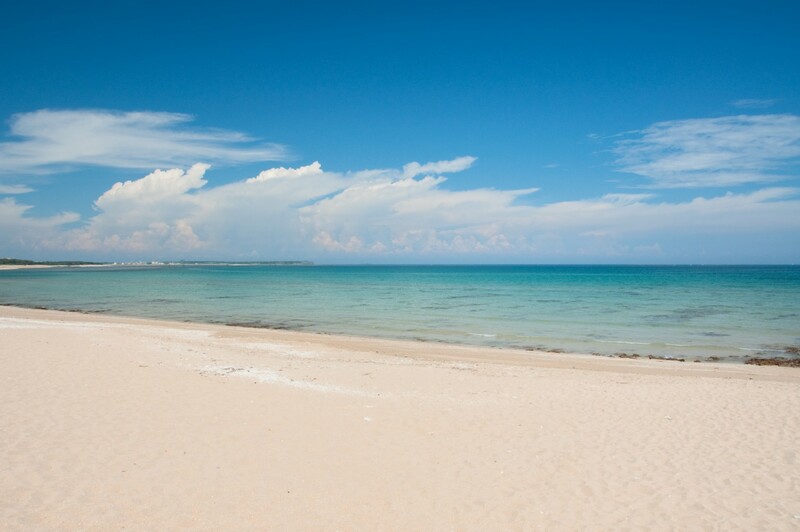 Shili Beach is the best beach on the main island of Penghu. It is more than a kilometer long. The beach here is made up of fine grains of coral and seashell. 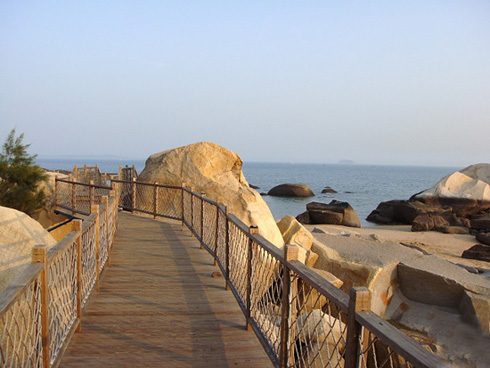 This water front plank is 6km long, goes from Hulishan Fort, Pearl Bay Garden, Calligraphy Square, ZengCuoAn Beach, Musician Square, Baishi Fort relics, Sun Bay Beach, Huangcuo Rock Beach. This waterfront plank is divided into two parts. The waterfront bridge is built on shoreline cliffs, and the trail is built on beach. We take a Xiamen and Tianluokeng Tulou Cluster 3 days tour, picked up by a local tour guide from Xiamen Internation Passenger's Cruise Terminal. 1. The square earth building named Buyun building(Reaching the Cloud building) at the center of the quincunx. It was the first earth building at this site, built in 1796. It is three storeys high, each storey has 26 rooms, four sets of stairs, and a circular corridor in front of the rooms. The Buyun building was burnt down by bandits in 1936, and rebuilt in 1953 according to the original shape. 4. Ruiyun building, built in 1936, three storeys, 26 rooms per floor. 5. The oval shape Wenchang building of 1966, three storeys, 32 rooms per floor. This is the first time I visit this area of China. In fact we enjoy a leisure holiday on the beach island of Penghu which is a part of Taiwan, and coast city of Xiamen, which is a symbol of fast processing modern communist China, and a traditional village of Tianluokeng, only 3 hours away from Xiamen. 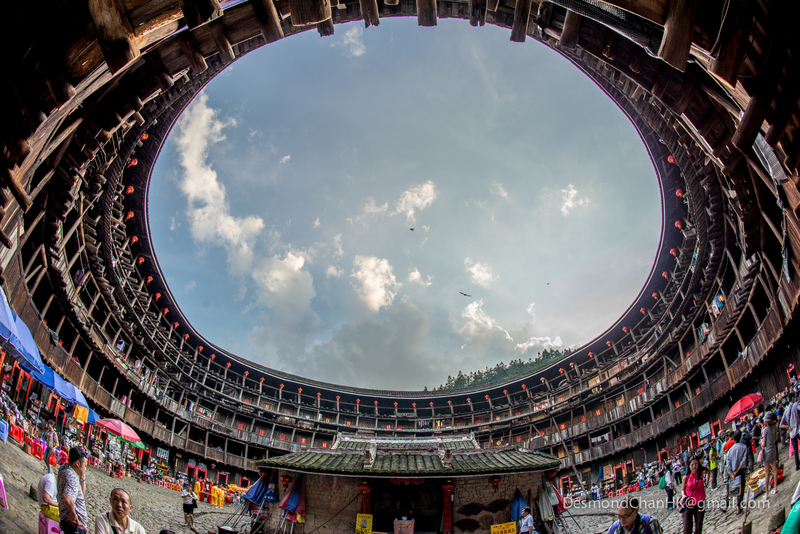 You will like more of our Xiamen tour programs and Tianluokeng Tulou Cluster is must go trip.